Business trips can either be a joy or a disaster. The outcome depends on many variables, such as where you are going, who you are going with, how you are getting there, and of course, if you even like the job you’re doing. Though Vault Jet can’t control if you love your coworkers, we will certainly make sure your flight on a private plane with them is as enjoyable as possible. November is a busy month for business trips as it falls in that sweet spot right before the holiday slow down. This means that all the work trips and meetings are often scheduled for the first three weeks of November. And even though productivity may soar, it can also make it a stressful month. One way to combat the stress? Let Vault Aviation arrange all of your flights, catering and ground transportation while you just sit back and enjoy the ride! Flying in the comfort and luxury of a Vault Jet makes your business trip seem a little less like work and a little more like pleasure. Whether your meetings are stateside or halfway around the globe, Vault Aviation has you covered. 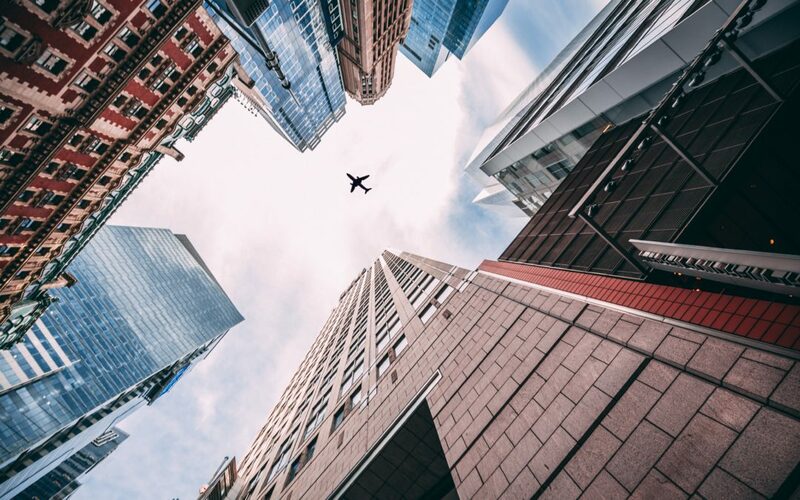 Check out a few of the countless reasons why Vault is the premier private jet charter company to fly with when those last minute business trips come calling. Our On Demand model means you can fly whenever you want, wherever you want, on whichever jet you want. You get all the benefits of owning a private plane, without any of the maintenance, depreciation or hassle. Vault Jet has connections that are wide-reaching within the industry, which means that you have access to almost any jet in the world. No matter what type or size of aircraft you’re looking for, Vault will deliver. Did you know that there are more private airstrips than public airports in every state and country? This means when you fly private with Vault Aviation, we can get you closer to your final destination saving you time and money, and unnecessary headaches. Flying On Demand gives you more options to get where you want, when you want. Are you sick of sales pitches? Pushy sales representatives trying to use every trick in the book to get you onboard? The Vault Aviation team doesn’t abide by those tactics; in fact, we avoid all the pressure and just give you the facts. Our “client first” approach means that we are advisors, not salesmen, and we operate with 100% transparency. There have been times when a client’s particular trip wasn’t the most cost-effective for them and we’ve suggested that they (gasp!) fly commercial. We are always happy to share our knowledge, recommendations, and honest opinions to help you understand the industry and make the best decision possible. Whether you’ve flown with us for years or have yet to experience our VIP treatment, we always try to find the best match for you and strive to make sure you have a positive experience when working with any of the Vault Aviation advisors. Our foundation is based on providing you with the finest service, experience, and value, and this starts at the very beginning. We know that your time is precious, so we will never waste it. We can’t wait to show you the Vault difference. Contact us to find out what options we can offer for your next private jet charter. Here at Vault Aviation, we hold ourselves to a very high standard. Whether we are working with Super Bowl champions, Hall of Famers, financial advisors, ranchers, business people or government candidates, we know that our service and luxury are only a few things which set us apart from the other private jet charter companies. We work to ensure that your flight to your business meeting goes as smoothly as possible; from seamless ground transfers to all the extra amenities you need on-board. Any special requests, like dinner from your favorite restaurant to rose petals scattered throughout the cabin for your anniversary, we always go above and beyond to create the perfect atmosphere. Once you experience the Vault difference, you’ll come back again and again. It’s not just our luxury that clients rave about; our service is just as renowned. Do you need to be somewhere ASAP? Call us – we can usually have you airborne in as little as two hours. There are no blackout dates or hidden fees and we always promise you’ll get the best value for your trip. Does Vault Jet Sound Like the Answer to Your Next Business Trip? With our safety, value, transparency, personalization, comfort, and service, Vault Aviation is the right choice for you, your company, your team and your family. We are sure to make your next trip, whether for business or pleasure, the best you’ve ever had. Call Vault Aviation or get a quote for your next private jet charter and Fly Like a Champion!